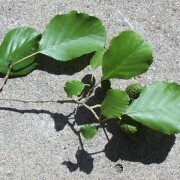 The native alder, fast growing medium-sized tree. Very attractive young foliage, good for shelter belts. 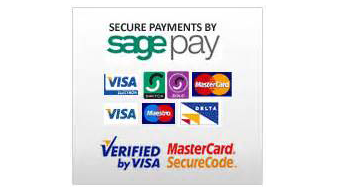 Tolerates a wide range of soils and thrives in wet conditions. 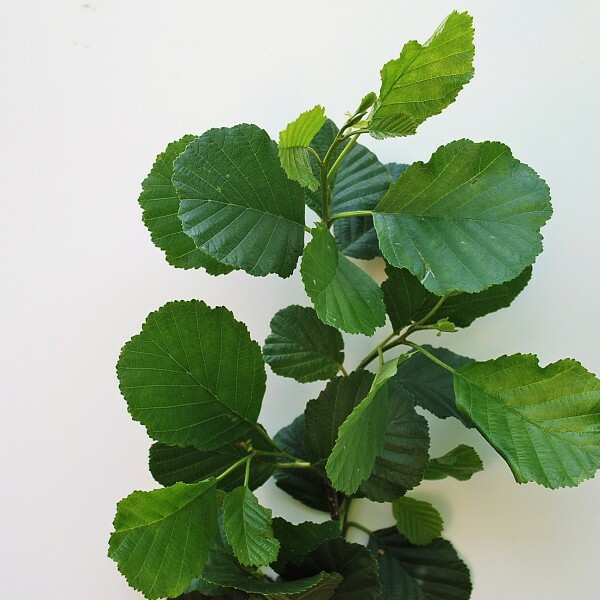 Alnus Glusinosa (Common Alder)– The Common Alder is a pioneer species, which colonises vacant and derelict land. It works to form tree and shrub cover, which in turn ultimately lends the land to form a mixed forest environment. 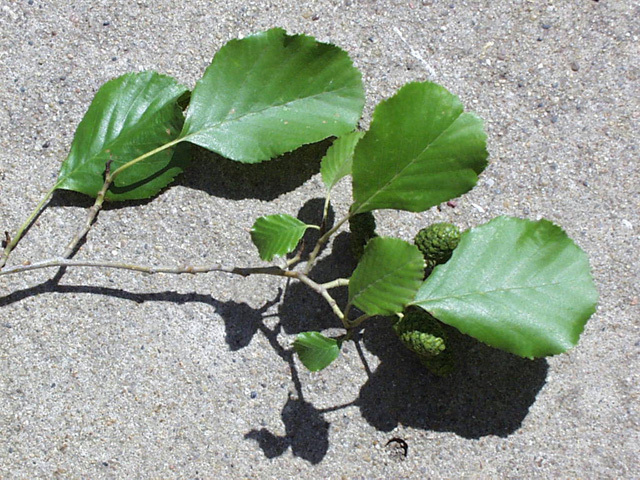 The common alder is then often a victim of its own success, as it is often shaded out by the more enduring species which take over, making the common alder a fairly short lived species. Yet, the value of this native wetland tree must not be mistaken. 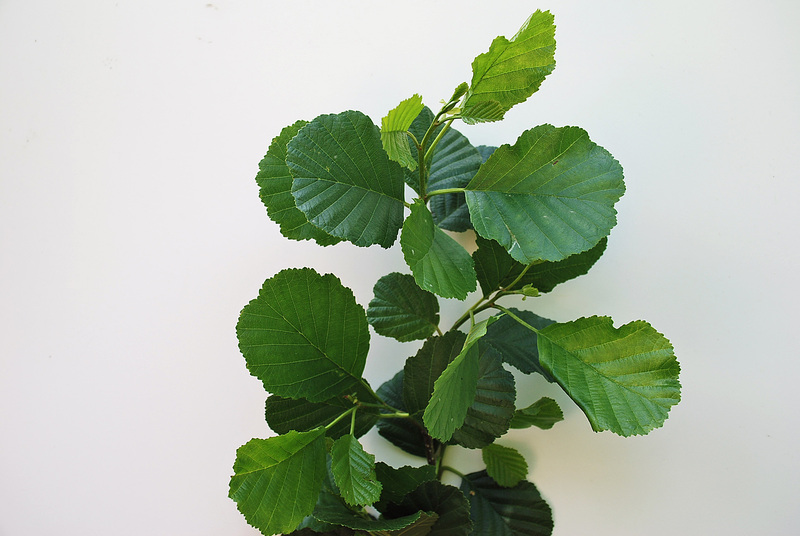 Its conical habit makes a very attractive tree and its ability to fix nitrogen into a useable form makes common alder a good tree to conserve river and lake banks. A valuable tree for wildlife. Fruit: Green cone like structures that turn brown in the autumn before shedding seeds. Timber: The timber is strong, easily worked and durable under water. It is used for toys, clogs, broom heads and paper pulp. It is also suitable for making charcoal which is used for gunpowder. Soil Types/Habitat: Tolerates a wide range of soils but is sensitive to long dry spells. It thrives in wet conditions and coastal areas.